What Happens During Traditional Heart Valve Surgery? What Happens During Minimally Invasive Heart Valve Surgery? What If My Heart Valve Cannot Be Repaired? Are There Nonsurgical Options for Heart Valve Disease? When treatment for heart valve disease includes surgery, it can be traditional or a minimally invasive procedure known as balloon valvuloplasty. You’ll get medicine to help you sleep, and a surgeon will make a cut down the center of your sternum (also called your breastbone) so he can reach your heart. He’ll then repair or replace the heart valves that need it. Your surgeon will review your test results first to see if you’re a candidate for this procedure. Often, the surgeon and cardiologist will use something called a transesophageal echo before and after the surgery to see how the valve is working. It uses sound waves to give your doctor a real-time look at your heart and blood vessels. The mitral valve is the one repaired most often. But the aortic, pulmonic, and tricuspid valves may be helped this way, too. Commissurotomy: The surgeon takes away calcium deposits and other scar tissue from the valve’s leaflets (sometimes called flaps). This is usually done for people who have severely narrowed valves and shouldn’t have balloon valvotomy. Decalcification: Calcium deposits are removed to allow the leaflets to be more flexible and close properly. Reshape leaflets: If one of the leaflets is floppy, a part of it may be cut out, and then the flap will be sewn back together. This lets the valve close more tightly. This is also called quadrangular resection. 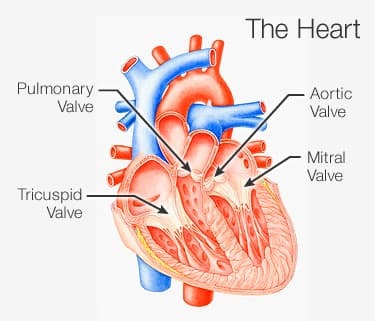 Chordal transfer: If the anterior leaflet of your mitral valve is floppy (your doctor may say it has prolapse), the tendons that connect your valves -- called the chordae -- are moved from your posterior leaflet to your anterior leaflet. Then, the posterior leaflet is fixed by the reshape leaflets procedure. Annulus support: Your doctor may reshape or tighten the ring of tissue that supports your valve (called the valve annulus) if it’s too wide. He’ll sew a ring structure around it. The ring may be made of tissue or synthetic material. Patched leaflets: Your surgeon may use tissue patches to repair any leaflets that have tears or holes. You’ll have less need for life-long blood thinner medication. Your heart muscle will stay strong longer. When you have aortic or pulmonic valve disease, valve replacement surgery is usually done. In rare cases, the aortic valve can be repaired. If your heart valves cannot be repaired, your doctor will replace them. Mechanical: It’s made totally of mechanical parts that your body will accept. Something called a bi-leaflet valve is used most often. It’s two carbon leaflets in a ring covered by polyester knit fabric. Their advantage is they’re designed to last many years. There are also potential drawbacks. People who get these have to take blood thinner medication for the rest of their life to prevent clots from forming in it. These clots can raise your chance of having a stroke. Also, some people hear a ticking sound. It’s the valve leaflets opening and closing. Biological: Tissue valves (your doctor may call them biologic or bioprosthetic valves) are made of human or animal tissue. It may come from pigs or cows. The valves may have some artificial parts to help give it support and help its placement. With these, most people don’t need to take life-long blood thinners, unless they have other conditions (like atrial fibrillation) that make them needed. Some of these valves can last as long as 17 years. Homograft: Also called allograft, it’s a valve removed from a donated human heart that’s preserved and frozen under sterile conditions. One may replace a diseased valve. In this procedure, a catheter is put into a blood vessel in the groin and guided to the heart. The tip is steered inside the narrowed valve. Once there, a tiny balloon is inflated and deflated several times to widen the opening. Once the cardiologist sees the valve has been made wide enough, the balloon is taken out. During this, the cardiologist may do an echocardiogram (ultrasound of your heart) to get a better look at the valve.